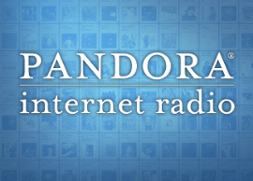 No, I’m not referring to the planet Pandora from the movie Avatar, but about the internet radio station that is most familiar for developing the music genome project. For those that have never used Pandora Internet Radio, you start by creating a station based on either a song or an artist you like. The music genome project then identifies music similar to your choice based on a number of characteristics and plays them for you. If you are interested more in the science behind it, several music analysts examine each song and then categorize them based on several unique characteristics. For each song that is played, Pandora allows you to provide feedback on their selection in music with a thumbs-up, similar to Facebook Like, or a thumbs-down. The downside, however, is if you don’t provide feedback then it is likely that your station will stray quickly. For example, I created a station using the Gorrilaz as my initial choice. Within minutes of neglecting Pandora, my choice of hip-hop music influenced by web coast rap, r&b, east coast rap and funk with danceable beats, quickly morphed into Lil’ Jon. Not that I have anything against Lil’ Jon, but I choose one of my 5 or so stations depending on what kind of a mood I am in or mood I am looking to set. In case you were wondering, I also have stations dedicated to classic oldies, techno, heavy metal, classical and a catch all station that compiles my favorite artists regardless of genre. Pretty wide taste in music, but like I said, each one is for a different mood. So if I’m busy working and don’t want much distraction, I select my “Study Music” station which is a blend of instrumentals and classical music. One can only imagine how angry I get when I catch myself singing along, distracted from my work because of a song with lyrics in it. What choice do I have but to pull Pandora aside and inform them that I am not the least bit satisfied with their choice. In addition to giving each song feedback, Pandora provides you with the ability to “add variety” to each station (not available on mobile application) by including additional artists and songs to the formula. Like I mentioned above, I have a “Favorites” station which I have entered all my favorite artists - this just so happens to be my default station. Fortunately the music genome project continues to amaze me with new music that doesn’t just come from those artists. When I hear a song that just really puts a smile on my face, I am compelled to stop everything I am doing and let Pandora know that I like what she’s feeding me. Ok, not exactly because I can’t really stop my car in the middle of the freeway, but you know what I mean. Of course, if you know me well enough, I don’t just Like every song. So where does this advice come in? Pandora’s model is something that could, and should be applied to everything in life. Don’t they say that the primary trait of a good relationship is good communication? As a consumer, you should seek to provide feedback, both good and bad. Let them know what works for you so they continue to meet those desires. There’s no doubt that they will throw in some new content every so often, but wouldn’t you agree that if they stopped tailoring content to you, you would slowly lose interest? At the other end, as a content creator, it is your duty to seek feedback. When was the last time you asked your Facebook fans what they want to see from your page? Or do you survey your email readership consistently or do you wait until they have unsubscribed to inquire what they did and did not like? The consumer is king and unless you know how to better serve them, you will essentially be throwing darts at a dart board. You can continue to make assumptions based on analytics, but why put your faith in formulas. Go to your consumer directly and just ask them.